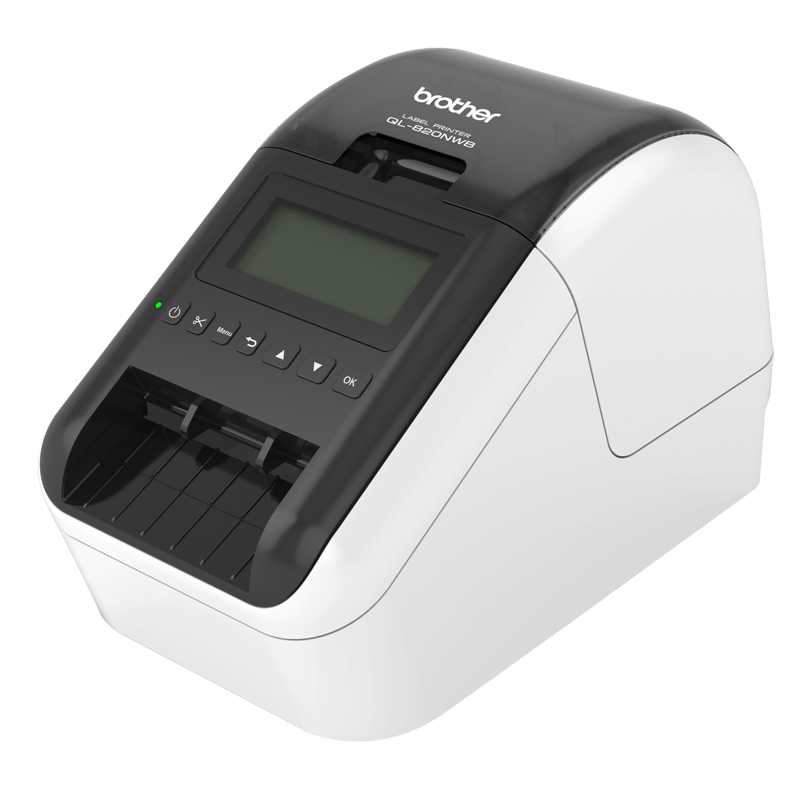 Introducing the QL-820NWB; Brother’s fastest label printer of up to 110 labels/min. Equipped with a large graphic LCD display making it easier to operate and design personal labels, the Brother QL-820NWB can also work without being connected to a PC. Providing unprecedented flexibility and creative possibilities for users, this device prints in both black and red text, enabling a variety of use applications including warnings, highlighting important messages or emphasising offers on signs. Offering Bluetooth and wired network connectivity in addition to Wi-Fi, AirPrint and USB connection, and an optional Li-ion battery supporting mobile use, the QL-820NWB is the professional tool you’ve been looking for.